Global fintech company QUOINE has enlisted the help of Canadian fintech start-up Blockwave in its efforts to bring its blockchain services to the country. Part of the deal is the launching of a cryptocurrency exchange, which QUOINE plans to initiate before the end of the year. The group will deploy its trading engine that powers QUOINEX, a bitcoin trading and exchange platform. Its services will include an efficient trade execution within a matching engine that is capable of processing nearly one million transactions per second. The platform will also be equipped with analysis tools such as trend indicators, live charts, and other charting tools. Additionally, the platform will utilize a multi-factor authentication, dedicated private servers, and bitcoin multi-signature wallets placed in an offline cold storage. QUOINE CEO and co-founder Mike Kayamori said the firm is seeing huge opportunities in the Canadian market, especially after partnering with a local fintech start-up. "At QUOINE, we believe in collaboration with fintech start-ups to help drive our mission to democratize finance by growing the crypto economy," he said. Recently, the group launched its own ICO and dubbed it QASH Token Sale. 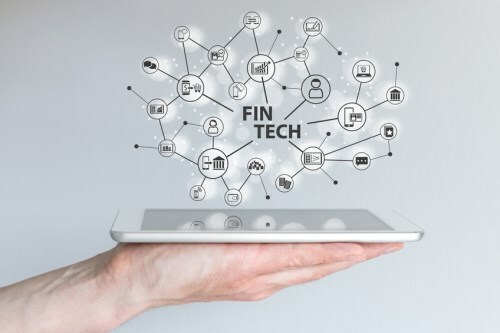 Kayamori said the firm is eyeing QASH to be the token of choice for fintech start-ups and financial institutions. "At a micro level, because we are the issuers of QASH, we will work with fintech start-ups to structure promotions and incentive schemes for their users and all QUOINE services, including QUOINEX," he said. For Blockwave founder Nick Chong, the partnership could not have come at a better time, given the projections that show the Canadian cryptocurrency exchange market reaching an annual volume of $1.5 billion this year, about ten times higher than in 2016. "After the closure of several domestic exchanges over the past few years, and the retraction of a number of US-based exchanges from the Canadian market last year, Canadian cryptocurrency traders are left with only a handful of choices when it comes to dealing with reliable and reputable exchanges," he said. Chong said the partnership with QUOINE allows the start-up to bring higher levels of crypto liquidity to Canada and advanced trading features, such as margin-trading, that were previously not available to Canadians.